It's fascinating how one move can turnaround a career. It was Champions Trophy, 2013. India, after the exit of Gautam Gambhir and Virender Sehwag from the ODI set-up, was searching for an opening combination. With Murali Vijay failing in the lead-up to the tournament, MS Dhoni played a punt- now hailed as a masterstroke, by slotting Rohit Sharma at the top of the order alongside Shikhar Dhawan. India not only won went on to win the tournament but also found unearthed a beast, ready to finally materialize his precocious talent. Sharma, who batted in the middle-order since his debut in 2007 had struggled to nail down his spot in the playing 11. The numbers indicate the story. Ever since his debut to the start of Champions Trophy in 2013, Sharma had played just two ODI hundreds in 88 games with the average languishing in the early 30s [30.82]. On Thursday, Sharma will take the field for the 200th time in India colors with 22 tons and 7799 runs to his name- the third most by a batsman after 199 games, and 5734 since he started opening for India in 2013. This is the story of Rohit Sharma's ODI career- a tale of two contrasting halves. 6th- Consecutive years where Sharma has scored at an average in excess of 50 since he started opening for India. 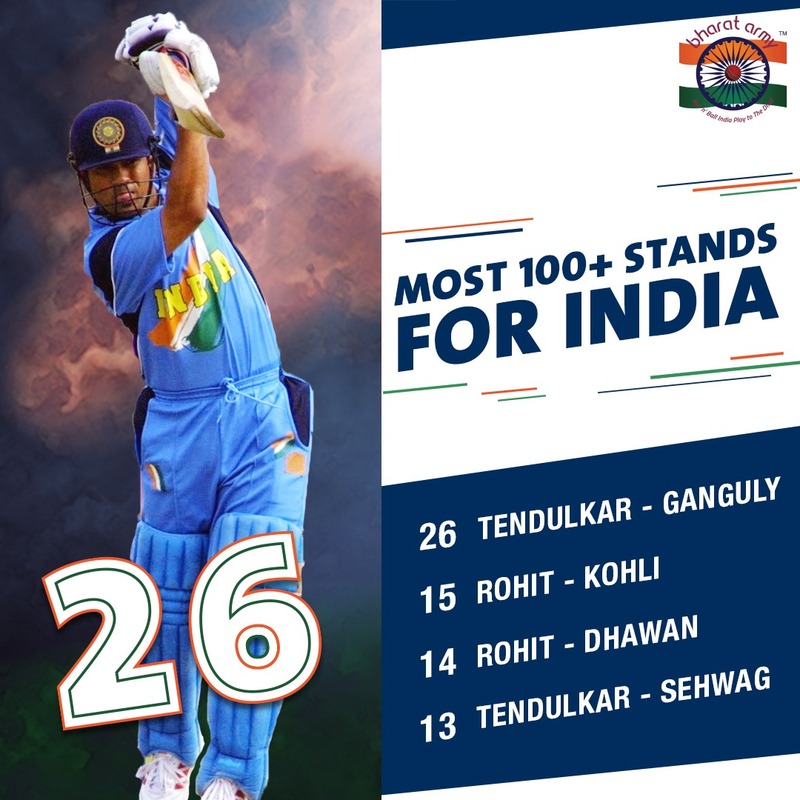 He has also racked up ten tons in the last ten ODI series that India has played. 5669- No of runs Rohit Sharma has scored since becoming a permanent opener for India in ODI cricket in June 2013- the highest amongst all the openers in the world. 215- Sharma, during his knock of 60 in the last game, stroked his 215th six for India, equalling with MS Dhoni for the most number of 6s hit by an Indian. 30-plus sixes- Sharma likes batting against Australia. In 31 matches against the Australians, the Mumbai batsman has stroked 66 sixes- the most by an Indian batsman. In fact, Sharma is one of the three Indian batsmen to stroke 30+ sixes in two different countries. 7799- Rohit's tally of 7799 runs is the third most for a batsman after 199 ODIs. 15- Sharma has been the cornerstone of India's success at the top, and is only behind Kohli with the most number of ODI hundreds since the 2015 World Cup. Every time Rohit Sharma goes past a hundred, it is almost inevitable that he converts it into a Brobdingnagian one. 3- Most Number of ODI double-tons in the history of the game. 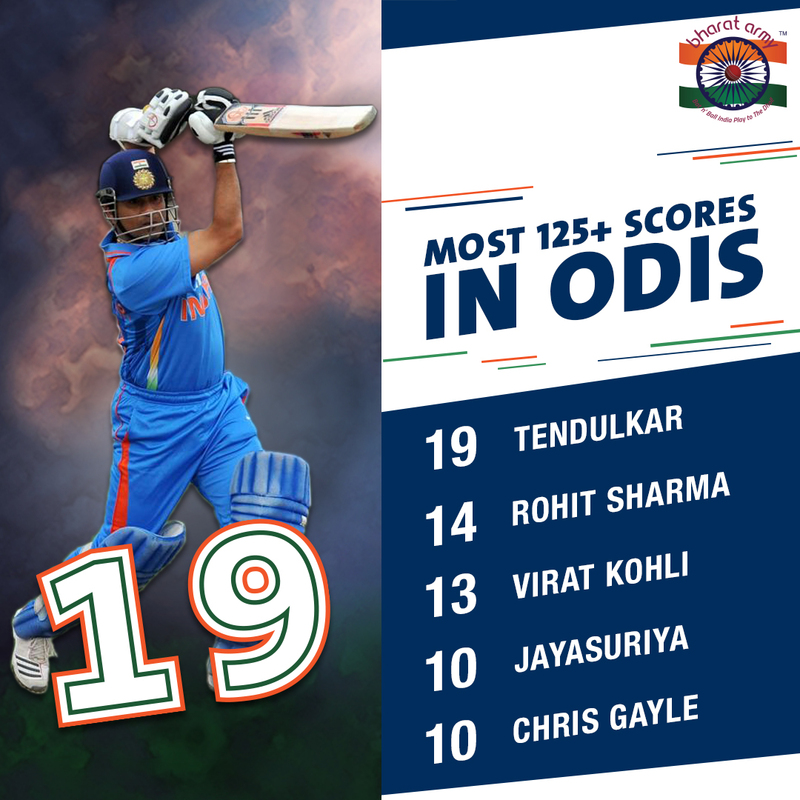 14- Number of 125+ scores by Rohit Sharma in ODIs- the second most by an Indian after Sachin Tendulkar . 145- The average size of a Rohit Sharma hundred. Out of his 22 ODI centuries, seven scores have been in excess of 150 including three double tons. 173.68- Strike-rate for Rohit Sharma after reaching a hundred compared to 95.86, he strikes at the point of reaching his ton. India's template to success in ODI cricket has been the astounding numbers that their top-3 have put-up in the past five years, and Sharma has been at the heart of stitching partnerships with both Dhawan and Virat Kohli. With Kohli, Sharma ha racked up 4248 runs at an average of 65.35, he and Dhawan have been prolific at the top- becoming only the fourth opening pair to cross 4000-run mark.